The ability to judge the visual attention of others is a key aspect of human social cognition and communication. While evidence has shown that chimpanzees can discriminate human attention based on eye cues alone, findings for gorillas and orangutans have been less consistent. In addition, it is currently unclear whether these gorillas and orangutans attempt to attract the visual attention of inattentive recipients using “attention-getting” behaviors. We replicated and extended previous work by testing whether six orangutans (Pongo pygmaeus and hybrid) and six gorillas (Gorilla gorilla gorilla) modified the use of their visual and auditory signals based on the attentional state of a human experimenter. We recorded all communicative behaviors produced by the apes for 30 s while a human experimenter stood in front of them with a food reward in a variety of postures, both visually attentive (facing the apes) and inattentive (body and/or head facing away or eyes covered). Both species produced visual behaviors more often when the experimenter was looking at them than when she had her face turned away, but only the orangutans discriminated attention based on eye cues alone. When we removed human-reared apes from the analyses (N = 3), mother-reared apes showed sensitivity to eye cues from the experimenter. However, further analyses found that the orangutans and gorillas relied more heavily on the body and head orientation of the experimenter than on her eye cues. Neither species produced more vocalizations or nonvocal auditory behaviors, such as mesh and object banging, mesh rubbing, or clapping, in the inattentive, than attentive, conditions. Our results reveal that while orangutans and gorillas preferentially use visual gestures when a human is attending to them, they do not appear to produce auditory behaviors, including vocalizations, with the intention of manipulating the recipient’s attention state. The online version of this article ( https://doi.org/10.1007/s10764-019-00083-0) contains supplementary material, which is available to authorized users. This research was funded by a generous grant from the David Bohnett Foundation. 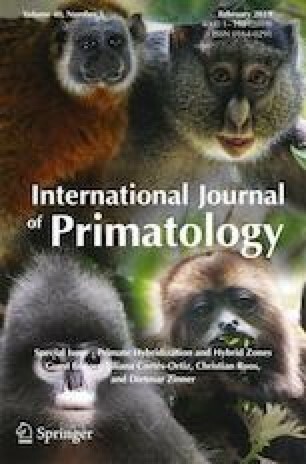 The authors would like to thank the staff at the Smithsonian’s National Zoo for their assistance during data collection and are additionally grateful to Betsy Herrelko and Alexandra Reddy for advice and assistance with behavioral coding. Our thanks go to Jo Setchell and two anonymous reviewers whose constructive suggestions greatly improved the final manuscript.